Size: approx. 7 mm. Photo: 04/08/12, 6 pm. Looks a bit like a cricket but actually belongs to the common barklice. It's Cerastipsocus venosus which is rather widespread in the Eastern US. I found this one on a pine twig. They feed on lichen. 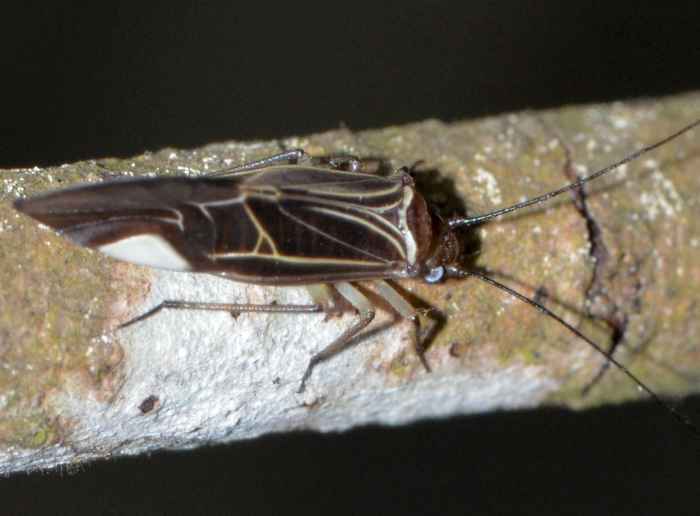 The abdomens of the species' nymphs have yellow and brown stripes .